Wonderful progress, your colors and fabric choices are just gorgeous. Patience is a virtue! 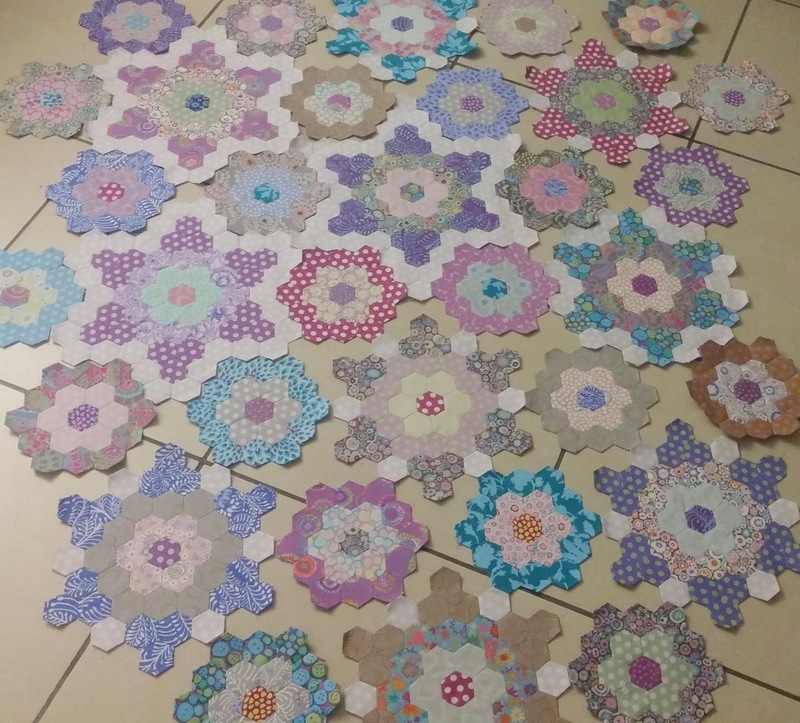 I love your mix of soft colours - I am contemplating starting a hexagon quilt but I shall go for medium sized papers - what size are yours Ailsa? Lovely progress! I'm wondering which fabric you are using for your 'in-between' pieces, it's hard to see on pic.